Middle school robotics has been busy with two competitions in three weeks! The team, Shark‐A‐Tech, competed with other South Florida FTC teams first in a tournament, and then in the championship. On Saturday, January 19, the team’s matches went well, and they consistently scored high. 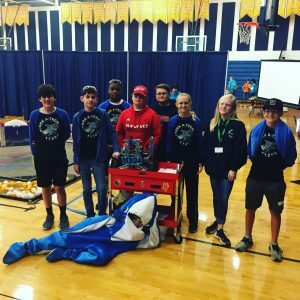 Even though they had two matches where alliance teammates were unable to contribute at all to the alliance endeavors—Shark-A-Tech was the only scoring robot on the alliance—they ultimately finished in sixth place out of 26 teams. 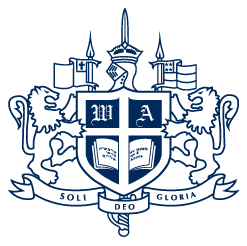 Then, on Saturday, February 2, our WA Shark‐A‐Tech team went to the South Florida League FTC Championship for the finals at St. Thomas Aquinas High School. This time, the competition was stiff since all of the teams improved their robots in anticipation of the championship. For this tournament, our team paired with better alliance partners, but still encountered issues. Troubleshooting included WiFi‐connection issues during a few of the matches. They ended the day ranked ninth out of 24 teams.